A table setting doesn’t have to keep you up all night with lots of preparations and endless lists of what to buy and where to place it. Most of the time the trick behind it all consist on using what you already own and to just add some new accessories to add a personal touch. 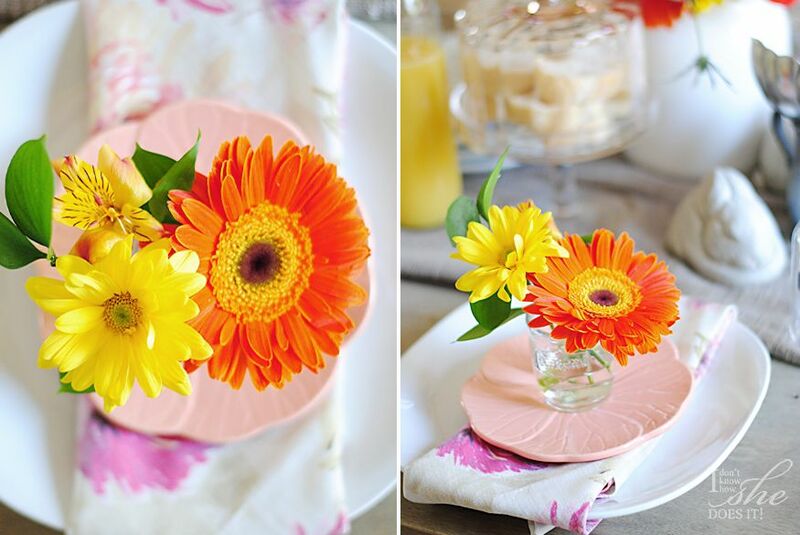 For my table setting I used my everyday dinnerware and added some bright and colorful fabric napkins I found at HomeGoods. To bring life to the boring whites, smaller and colorful dishes were added (also from HomeGoods). Flowers (learn how I did this arrangement here) were also used here in bright color. 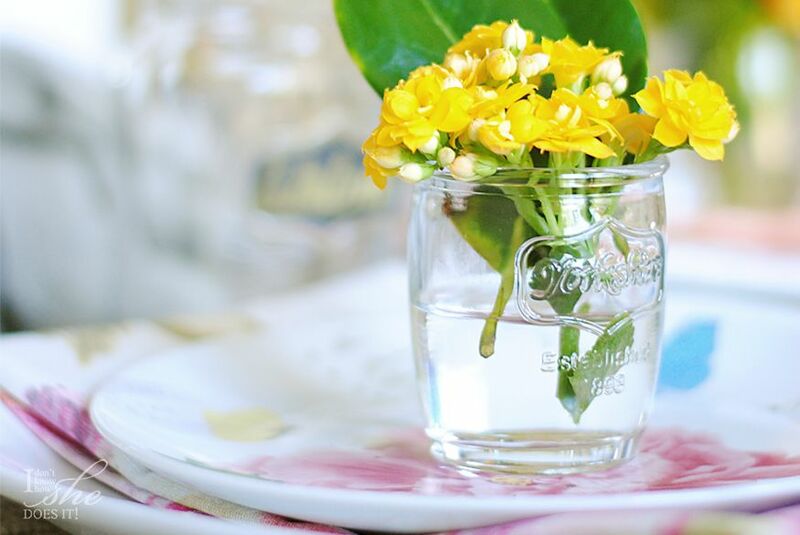 On small shot glasses I place smaller arrangements and placed them over the set of dished. I know this petite detail will bring smiles to my guests. Other elements I used in this setting were an old glass water bottle to serve the juice, a cake stand for serving the bread, and instead of a runner I used a curtain from Target. 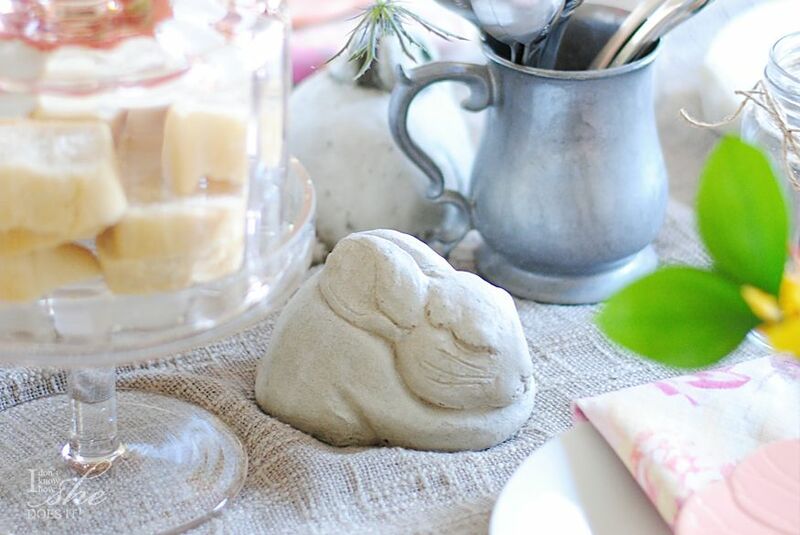 Little cement bunnies (from HomeGoods) added an Easter feeling to this setting. Take them out and you are left with a blooming Spring table. 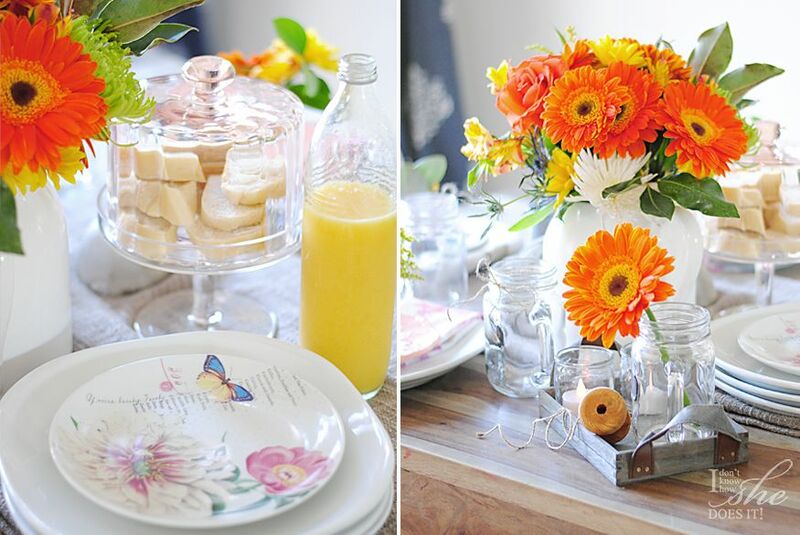 Bringing in old and everyday accessories to the table and mixing them with some new items was the winning combination for a bright and colorful setting. Wouldn’t you agree? 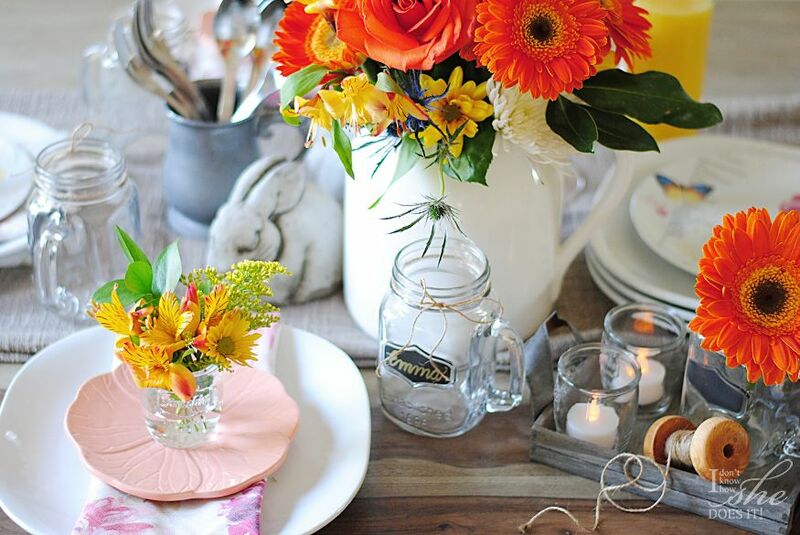 What are you using for your Spring table setting? 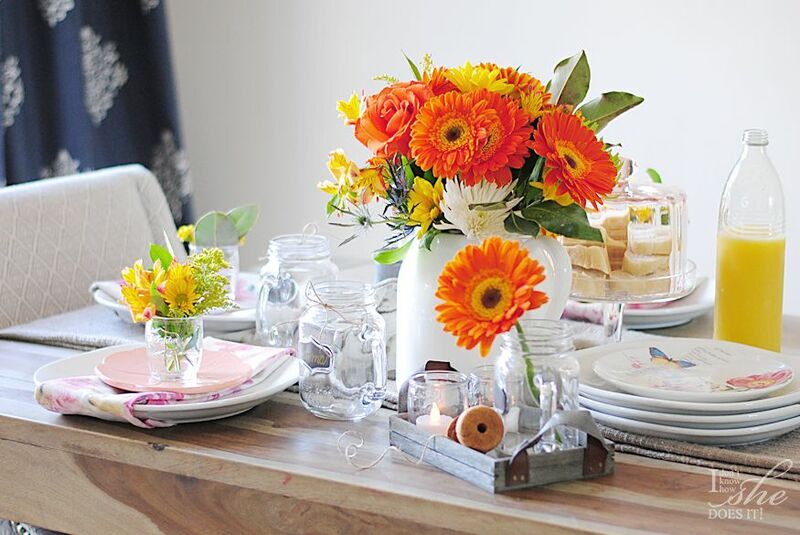 To see more photos of this table setting visit the Design Happy Blog from HomeGoods. So fun! So fabulous!! 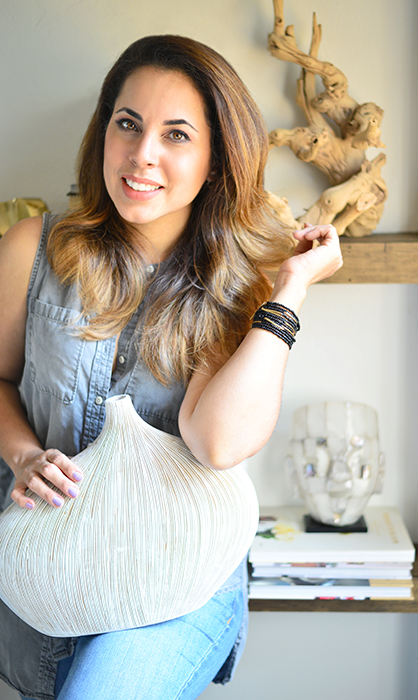 Love your tablescape, Gloribell. And I love the pops of color! Thank you so much Loi for visiting my blog. Hope you have a great weekend!